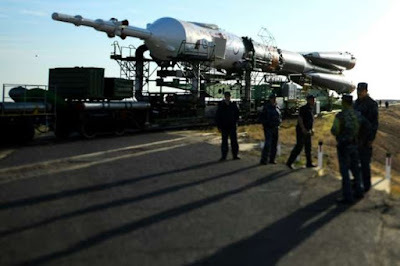 Russian authorities said Friday they had launched an inquiry into alleged embezzlement at the Progress factory which develops Soyuz rockets for the country's space industry. "Two investigations into abuse of power have been opened" into officials at the factory in the southern central city of Samara around 1,000 km (625 miles) southeast of Moscow, authorities said, investing allegations 5.8 million euros ($6.7 million) had been siphoned off. Investigators say Progress signed a deal in 2010 with a limited liability company for more than one million rubles ($14.5 million at today's rate) for renovation works and modernisation of the site. "Payment was made in its entirety but not all the scheduled work was carried out," an investigators' statement said, adding that when two further similar contracts followed in 2014 and 2015 "the equipment was delivered and paid in full through federal budget funds." In 2015, Progress officials signed a further agreement, according to investigators, for additional equipment which was paid for but not forthcoming. "These illegal acts have cost the Russian Federation more than 404 million rubles," the statement said. Corruption is endemic in Russia, sapping confidence within institutions and among the public alike and is widely seen as a major brake on economic development.